The Anti-wrinkle bio cream contains a blend of the avocado oil, sunflower and shea butter all in this bio cream, the perfect natural anti-aging ingrediants, your skin will feel smooth and firm! Tube 30 ml. leaders have made the world of cosmetics into their career for over 15 years. In order to make the product ranges popular and accessible to as many consumers as possible, Marilou Bio has chosen to offer simple formulas, reduce packaging, manufacture large batches and considerably reduce its sales margins. Marilou Bio, striving to provide organic products to all women who want to look and feel fabulous while protecting our planet by consuming more responsibly. 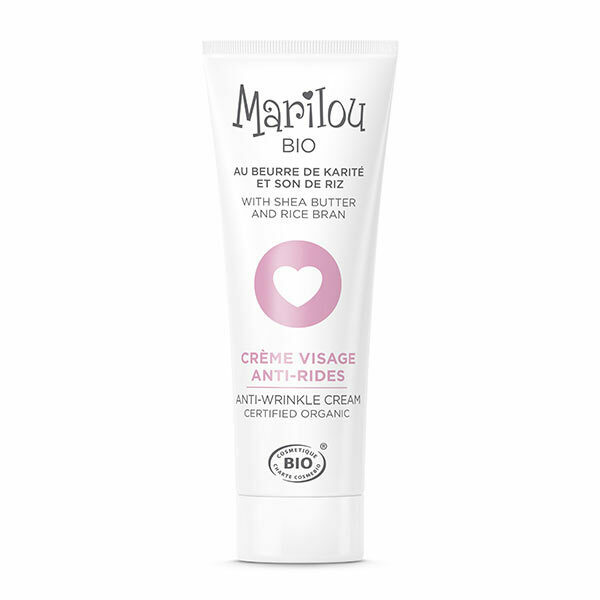 Marilou Bio entire range is certified organic and is certified ECOCERT and COSMEBIO.